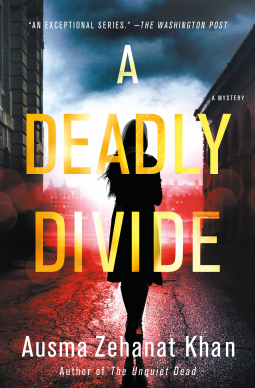 Two good reads that are published today – Joyce's mystery and fiction book reviews with some non-fiction too! 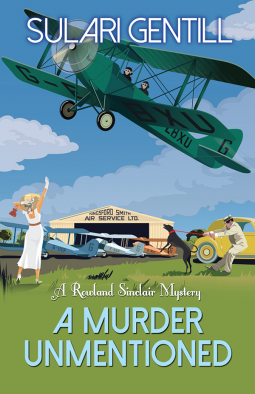 A Murder Unmentioned is the newest novel in the Rowland Sinclair series that is published by the Poisoned Pen Press, a great source for mystery novels. The cover reflects the period of the novel. It shows some characters in the book including Rowly’s dog, Lenin and his aircraft Rule Britannia. Rowly and one of his friends are inside. As you read the book, this beautiful illustration, is worth going back to for references from the story. For those who don’t know, this series takes place prior to WWII when Hitler is in the ascendant and Rowly would like to do all he can to show the world the disaster that is coming. This is always a part of the novels. As has been true in other books in the series, some real life characters make an appearance; in this one thet include politician Bob Menzies and garden designer Edna Walling. The delight of these novels lies in spending time with Rowly and his friends. There is the unconventional artist Edna, the poet Milton and another artist friend. They have communist leanings and are definitely anti-Fascist. Other prominent characters are Rowly’s conservative brother, Wil, his wife Kate and their two young sons. Master Ernest is featured in this one as a pivotal character. At only age six, he seems destined to follow in his uncle’s footsteps. In this novel, the reader learns a lot about Rowly’s early life and his relationship with his sadistic father. You will feel for the young Rowly. This part of the book was not easy reading. When the novel opens, Rowly’s father has been dead for thirteen years. The murderer was not found and the central mystery of this one is finding who killed him. This is a good entry in a good series. Many thanks to Poisoned Pen Press and NetGalley for this chance to read the e-galley. The opinions are my own. This is the first, but will not be the last, book that I read by this author. Her novels are now being published by the wonderful Poisoned Pen Press, a great place to find new authors and series. This is the first novel that I have read by Ms. Khan, although it is not her first novel. I plan to read this entire series of mysteries featuring Esa and Rachel, along with the significant people in their lives. This novel is a mystery but more than that. It has an important story to tell that resonates in the current climate of being less than welcoming to immigrants. The story takes place in a small Quebec community where the Muslim population is mistrusted by many. An attack occurs at a mosque and deaths result. Who is at fault? What has led to such deep feelings of unease on everyone’s part? Is the situation hopeless? In A Deadly Divide there are members of the Wolf Gang, a white supremacist group, the Lilies, a group of girls, whose role in all that goes on seems ambiguous, the local priest, a reporter, the police force and a government spokesperson, among others. All are well described and become real and distinctive. Along with the mystery and the politics, this novel is very much about the relationships of the characters with one another. This felt true to life as human feelings and emotions do not go away, even in the light of crises and volatile political situations. I recommend this novel. It will make you think about the positions that you hold while also enjoying a well told story. Fans of author Suzanne Chazin’s series will want to read this. Both series look at the role of immigration in our world view while also depicting complex mysteries. Thanks to NetGalley and the publisher for this e-galley. The opinions are my own. AUSMA ZEHANAT KHAN holds a Ph.D. in International Human Rights Law and is a former adjunct law professor.